Almost two thirds of of the Mitsubsihi dealer network has signed up be ‘company car specialists', which means they have been specifically trained to help drivers who are considering a Mitsubishi as their next company car. The catalyst for the scheme has been the increase in enquiries and sales to company car owners for the newly-launched Outlander Plug-in Hybrid Electric Vehicle (PHEV). Any of the existing Mitsubishi dealer network can choose to become a 'company car specialist'. To do this they need to have a dedicated and trained member of staff and understand the requirements of a company car driver. The Mitsubishi dealer locator, found on the national website, will show the nearest 'company car specialist'dealer to any postcode. More dealers are expected to sign up in the next few weeks. 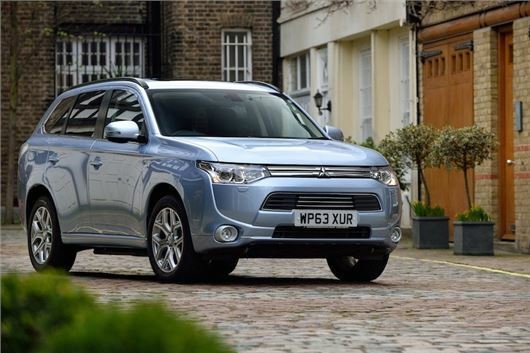 Toby Marshall, sales and marketing director of Mitsubishi Motors in the UK, said: "We are delighted to announce the Company Car Charter and want to ensure that all company car drivers are fully aware of the benefits of vehicles like the Outlander PHEV. There has been an amazing level of interest in this vehicle." Mitsubishi dealers will be holding a company car tax evening or business breakfast meeting to explain the tax benefits of owning the Outlander PHEV for company car drivers and company owners. Marshall added: "It’s great that the Outlander PHEV is doing so much to help the environment, but we also want to ensure that the message gets through about just how much company car drivers and company owners can benefit too."